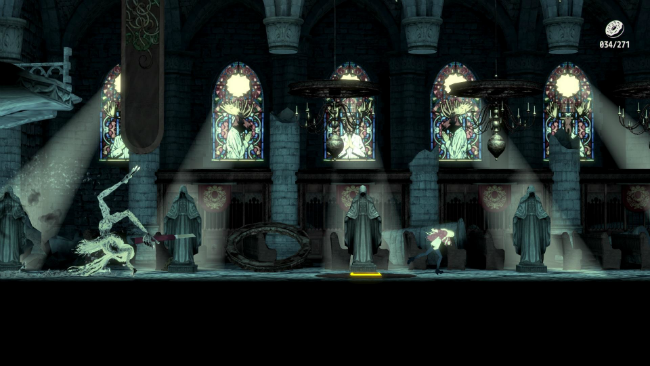 After the never-released D4 Hidetaka “Swery”, Suehiro did not recover his health for a long time and then seized upon several smaller projects. One of them is a kind of lesbian love story. The Missing: JJ Macfield and the Island of Memories reached the final release almost imperceptibly. A new game in the style of two-dimensional platformer/adventure tells about the student JJ McField, who eludes the too noticeable concern of the mother in camping with her girlfriend Emily. A sudden thunderstorm and fire part two friends, sending Jay on a journey in search of his beloved and herself. The theme of teenage throwing and fashionable sabotage here is perfectly combined with Swery’s signature humor and interesting puzzles. 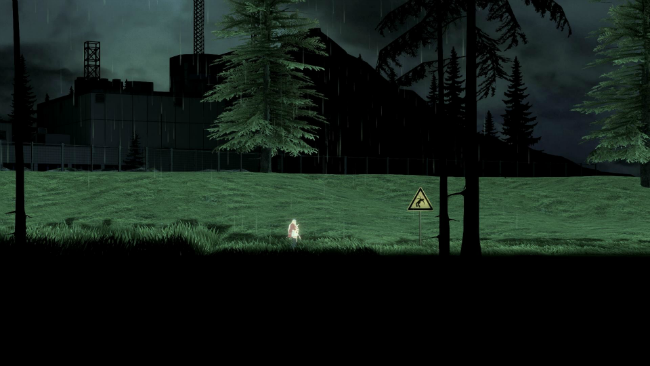 Using some Limbo ideas, Swery adds shock content to an adventure. The main character has to sacrifice herself and parts of her body in order to move further along the levels while possessing incredible regenerative abilities. For example, to overcome the giant loach that obstructs the passage, JJ must set himself on fire and, as a torch man, burn the obstacle that prevents her. But the fire that has engulfed her makes the body fragile, and where you used to withstand a jump from a meter height, a heroine fried to the bones can lose her lower limbs. In addition, streams of water can extinguish the irregular flame and everything will have to start over. The authors of the project do not stop at fiery tasks, forcing you to cut off the heroine’s hands in order to knock down a box hung on a pole, or they propose to strip the character of the head so that the girl can slip into the narrow bowling tunnel. Naturally, even staying with one head, you can completely restore the whole body by pressing one button. Further stages involve the use of electricity, jumping over barbed wire and stunning blows, breaking the fragile neck of JJ, and at the same time turning the world upside down. The latter is useful for solving problems with finding keys and moving boxes. Occasionally, there are puzzles on logic with rotating platforms, where you have to decompose objects in the desired order. 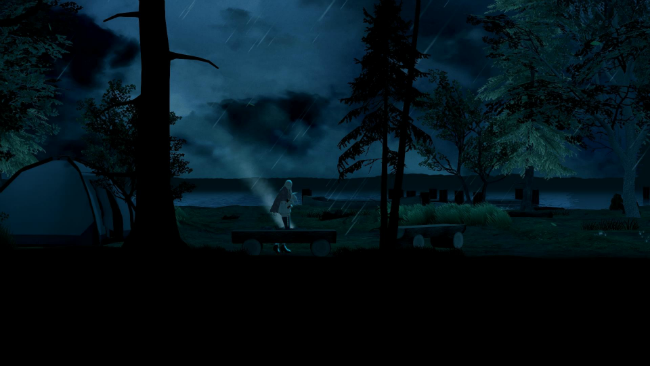 In his own way, the ingenious Swery, as in the case of Deadly Premonition, tries to play with symbols of America, guiding players through farms, shopping centers, and roadside eateries. A man with a deer head appearing in some places refers to cult TV shows and books, including Twin Peaks and works by Stephen King. 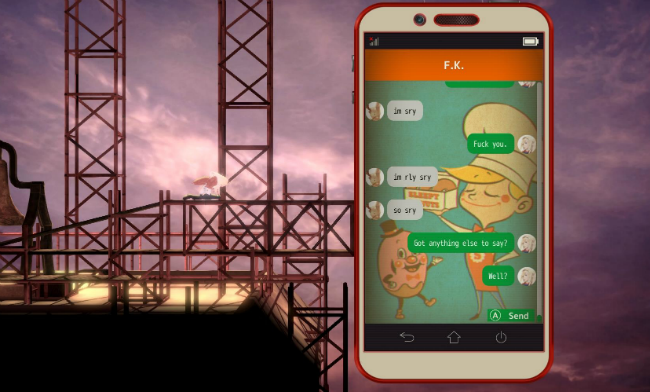 The difficult plot and the relationship of the main character with her mother, friends, and teachers are revealed through long correspondence in instant messengers, which are opened as you collect special collectible sweets. Sometimes a JJ’s plush toy is connected to the correspondence, not ashamed of strong words and frank trolling. By the end of the story, the authors are trying to turn everything upside down, which can cause a fountain of negative emotions in not too tolerant Russian players. However, with its main task, The Missing: JJ Macfield and the Island of Memories copes very well – the history, presentation, and riddles are performed at a high level. Graphically, the game causes mixed feelings. 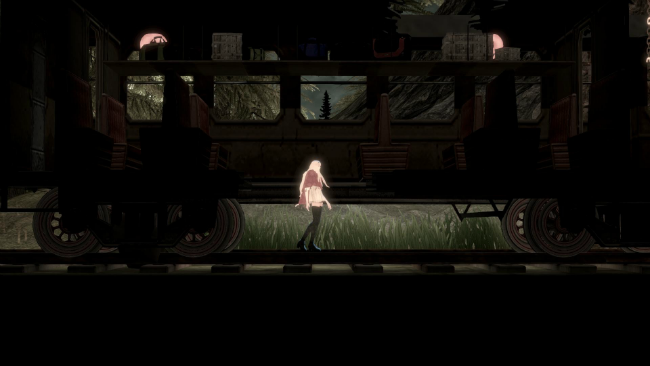 Beautiful landscapes and beautiful animation of the protagonist are replaced by faded sections and poorly designed surroundings. The Missing: JJ Macfield and the Island of Memories is a great adventure, with many layers and undertones that Limbo lovers will love. For a complete understanding of the story will have to carefully read all the messages. If it were not for the extra sections with an escape from a monster with a stationery knife, simple graphics and a couple of illogical puzzles, one could put a higher mark on the game.